Gustave Albert Lansburgh was born January 7, 1876 in Panama, the eldest son of a Polish-born parents, Rebecca and Simon Lazarus Lansburgh. After Albert’s father died in 1879, his mother relocated to San Francisco. Rebecca Lansburgh died of tuberculosis in 1888. Albert Lansburgh and his brother were raised by Celia Goldman under the guardianship of Rabbi Jacob Voorsanger of Congregation Emanu-El. Albert enrolled at U. C. Berkeley and studied under the famed architect, Prof. Bernard Maybeck. 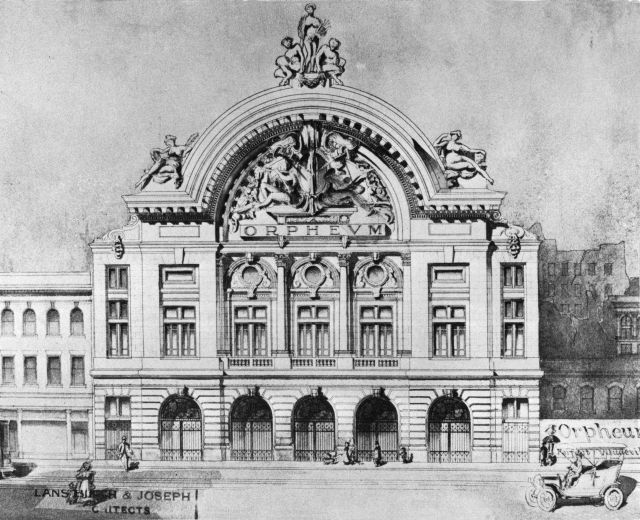 Maybeck encouraged Albert to attend his own alma mater, the prestigious architectural school, École des Beaux-Art, in Paris. 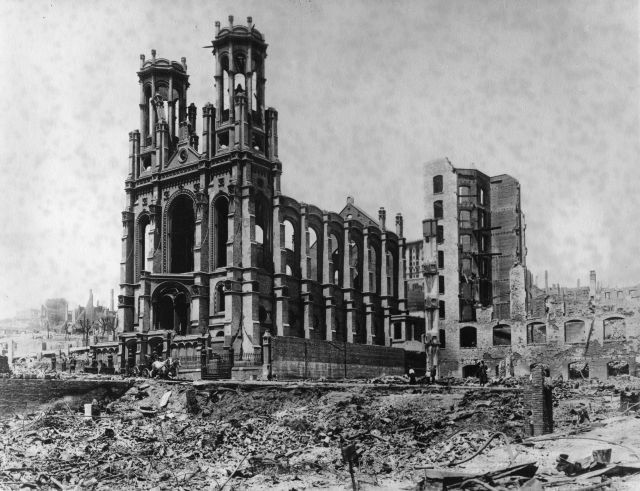 After graduating, Albert Lansburgh returned to San Francisco in May 1906, a month after the devastating Earthquake-Fire hit the city. 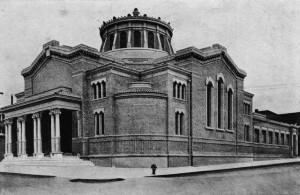 Albert Lansburgh created a set of drawings for a projected new Congregation Emanu-El at the same location as the old synagogue building, which had been badly damaged. 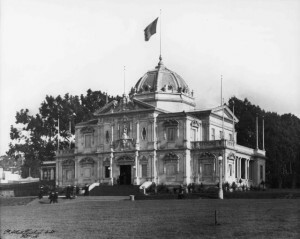 Temple Emanu-El froze plans to act on the construction of a brand new synagogue, but Lansburgh was awarded a Medaille Salon for his design by the Societé des Artistes Français. Lansburgh worked on the restoration of the old Emanu-El building at the Sutter Street location in 1907, which led to his being selected to design the new Temple Sinai in Oakland, completed in 1914. 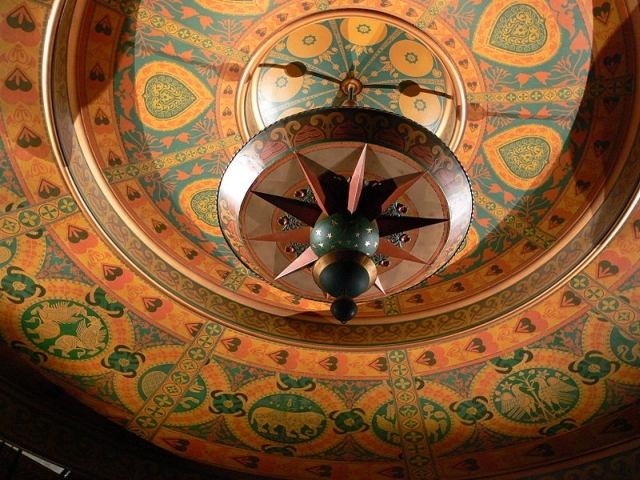 In 1906, Albert Lansburgh formed a partnership with another architect. Together, they were involved in the reconstruction of a number of downtown San Francisco commercial buildings. In 1915, Lansburgh won the competition to design the Guatemala Pavilion for the Panama-Pacific International Exposition, which was held in San Francisco’s Marina District. Lansburgh designed a variety of other buildings, primarily in the San Francisco area. 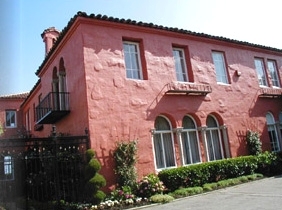 A number of them are beautiful residences, mainly in the Pacific Heights section of the city. Through Lansburgh’s connections with Morris Meyerfeld, Jr., President of the Orpheum Theatre Circuit, he obtained the commission to design the San Francisco Orpheum Theatre, followed by many other Orpheum Theatres around the country. After the Orpheum Theatre was completed in downtown San Francisco in 1909, Albert Lansburgh opened his own architectural office, which he would maintain for more than 30 years. Of his many theatres, his favorite was the Martin Beck Theatre, built in 1923 for producer Martin Beck in the heart of Manhattan’s Broadway district. The theatre is still operating. Albert Lansburgh’s theater designs were highly regarded for their beauty, as well as their fine acoustics. More than half of them still operate today, and most have been placed on the National Register of Historic Places. 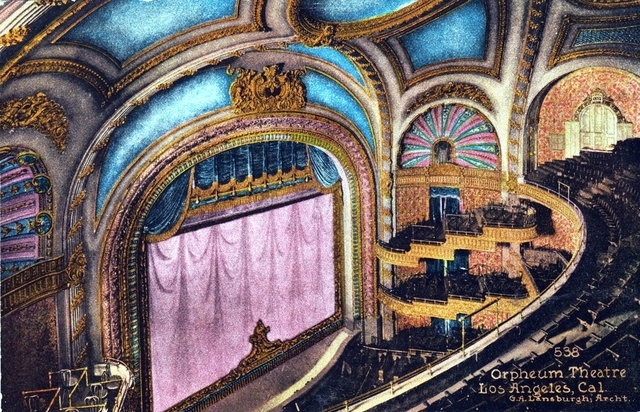 Some of Lansburgh’s theaters operated for many years, were closed, and then restored through major renovations, including the Orpheum Theatre in Los Angeles and San Francisco’s Golden Gate Theatre and Warfield Theatre. Because of his expertise in theater design, Lansburgh was involved with two very prominent San Francisco projects: the War Memorial and Performing Arts Center and the War Memorial Opera House. From the early 1920’s until the onset of the Great Depression, Lansburgh leased a ranch at Stanford to pursue his hobby of raising show horses which thrilled his children. During WWII, Albert Lansburgh retained his San Francisco office, where he contributed to the war effort by designing military equipment –both seaplanes and destroyer tenders. While Albert Lansburgh was studying in Paris, he met Irene Muzzy, whom he later married in 1908. Albert and Irene Lansburgh had four children, two sons and two daughters, none of whom are living. They have five living grandchildren at present. Albert moved his family to a home in San Mateo in 1937, where he lived out his life. His grandchildren recall that, long after he retired, whenever they visited him in San Mateo, Lansburgh was always “dressed to a tee” in a 3-piece suit and fedora. 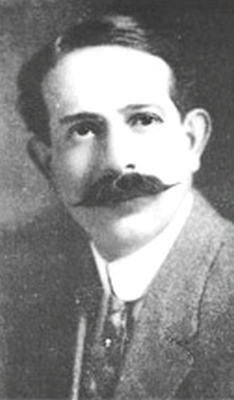 Gustave Albert Lansburgh died in 1969. Eugene Normand, “Benjamin Marcus Priteca of Seattle & Gustave Albert Lansburgh of San Francisco: Two prominent West Coast Jewish Architects of the Early Twentieth Century,” Western States Jewish History 46/4. Eugene Normand is curator of this Albert Lansburgh Exhibit.